Conveniently located within 2 blocks from Santa Marta′s beachfront and the Duty Free Zone, this hotel offers pleasant rooms with free Wi-Fi. Amenities include a pool, sauna and restaurant. San Francisco de Asis′s accommodation provides cable TV, minibar and telephone, as well as heating and air conditioning. For additional convenience, there is room service and a 24-hour front desk. Oásis Restaurant and Bar serves Colombian and international dishes with a Caribbean influence. Here guests also enjoy breakfast with regional items. 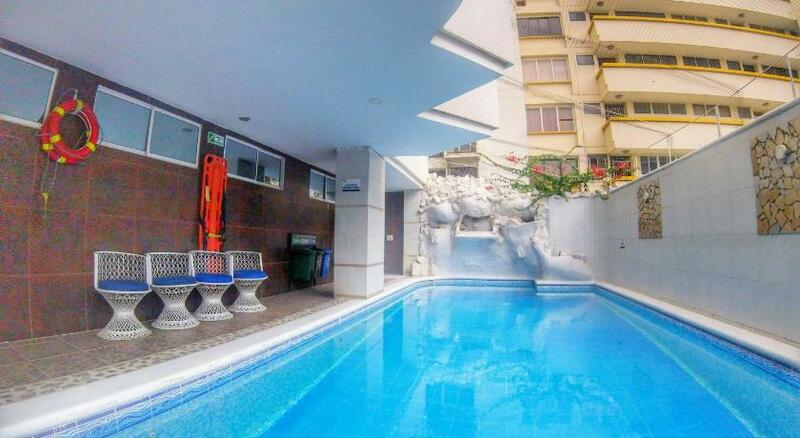 San Francisco de Asis hotel is in the Rodadero area, 2 blocks from Agua Viva Aquarium and Ecological Park, and 6 blocks from Simón Bolívar Square. Shops can be found a 5-minute walk away.